Dynamic methods of biosensing based on electrical actuation of surface-tethered nanolevers require the use of levers whose movement in ionic liquids is well controllable and stable. In particular, mechanical integrity of the nanolevers in a wide range of ionic strengths will enable to meet the chemical conditions of a large variety of applications where the specific binding of biomolecular analytes is analyzed. Herein, we study the electrically induced switching behavior of different rodlike DNA origami nanolevers and compare to the actuation of simply double-stranded DNA nanolevers. Our measurements reveal a significantly stronger response of the DNA origami to switching of electrode potential, leading to a smaller potential change necessary to actuate the origami and subsequently to a long-term stable movement. 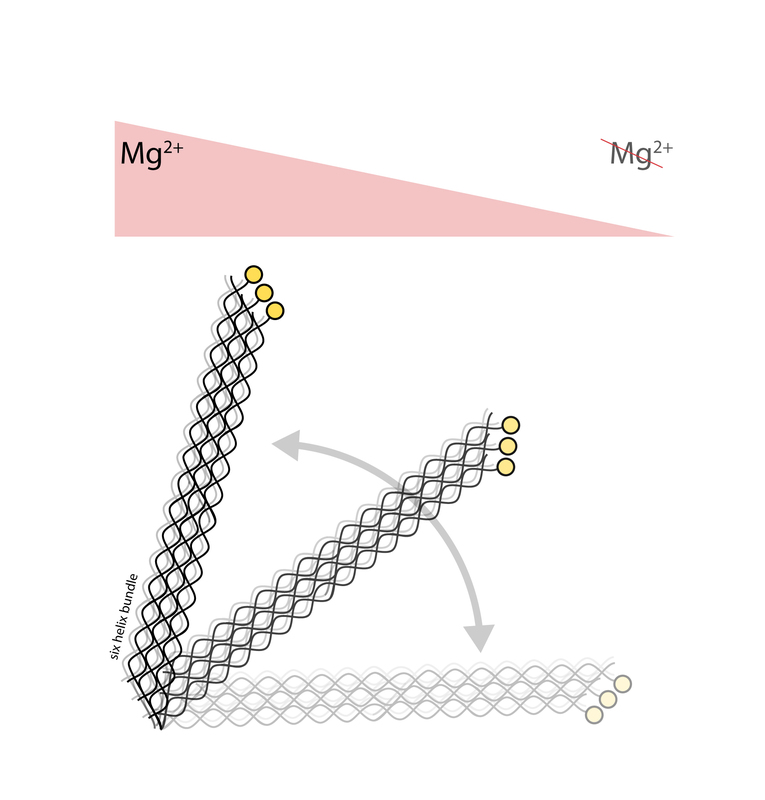 Dynamic measurements in buffer solutions with different Mg2+ contents show that the levers do not disintegrate even at very low ion concentrations and constant switching stress and thus provide stable actuation performance. The latter will pave the way for many new applications without largely restricting application-specific environments.